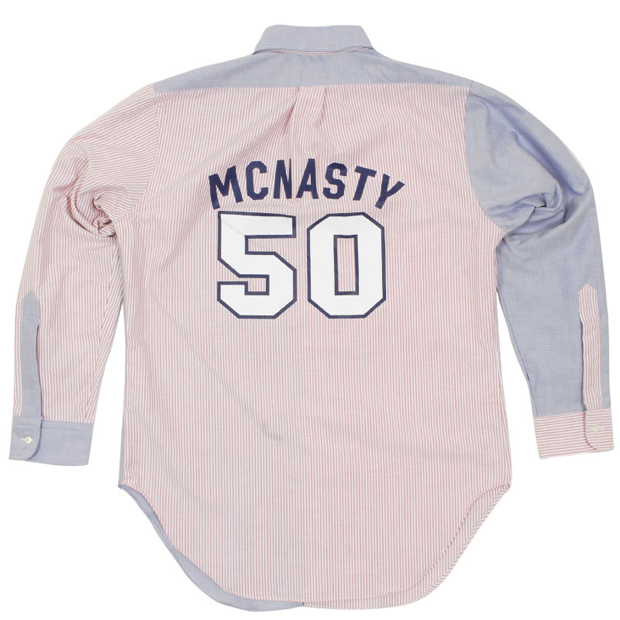 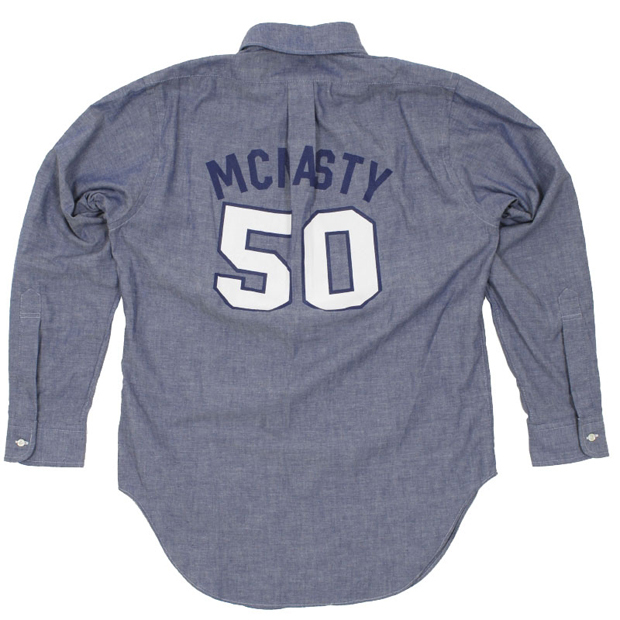 Blurring lines and pushing boundaries is something that Mark McNairy and his New Amsterdam line have certainly become known for, and these shirts definitely assure us that he won’t be stopping this formula any time soon. 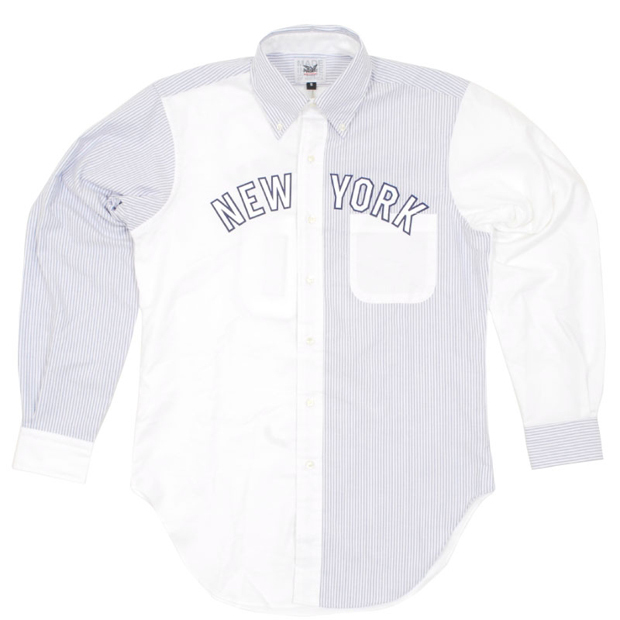 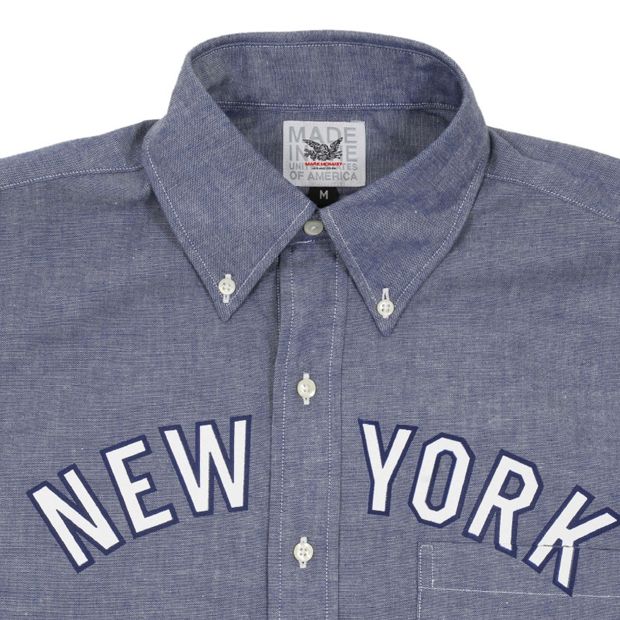 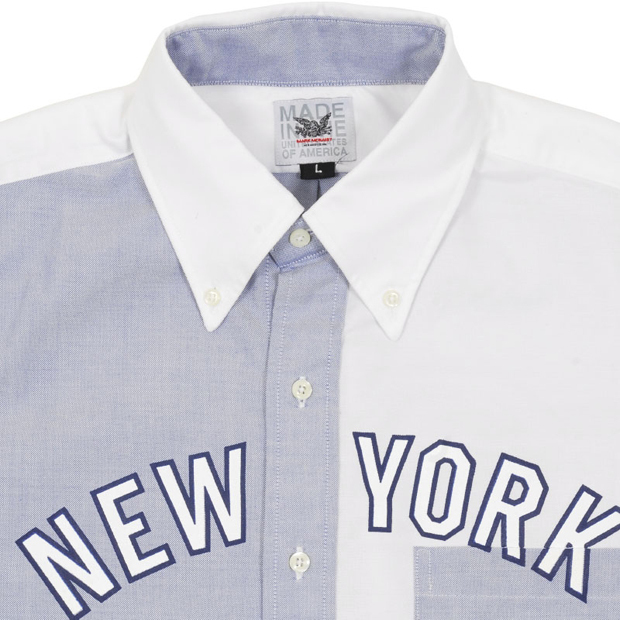 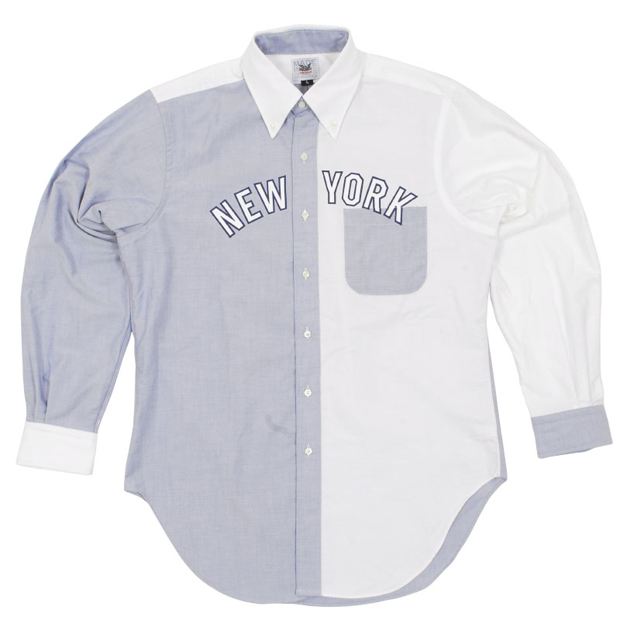 Coming in five colourways, these are a combination of modern casual shirting and the classic New York Yankees baseball jersey. 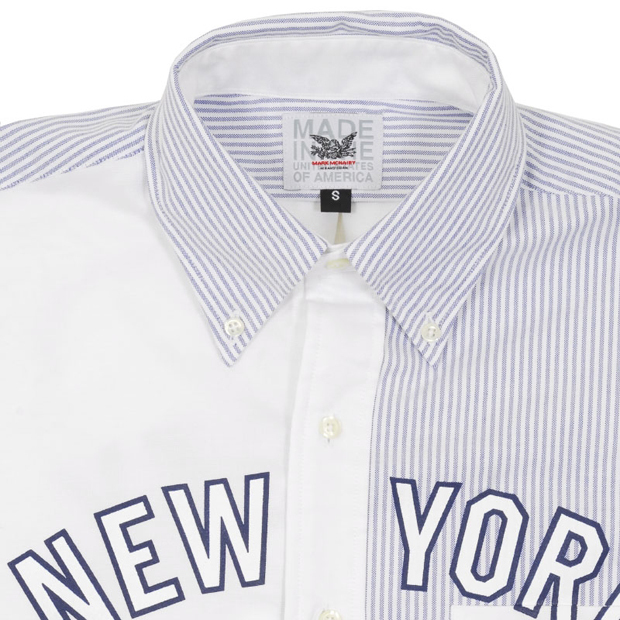 The main feature of these, other than the fact they are beautiful shirts in their own right, is the printed ‘New York’ on the chest and the ‘McNasty 50′ back print, taking them to a whole new level. 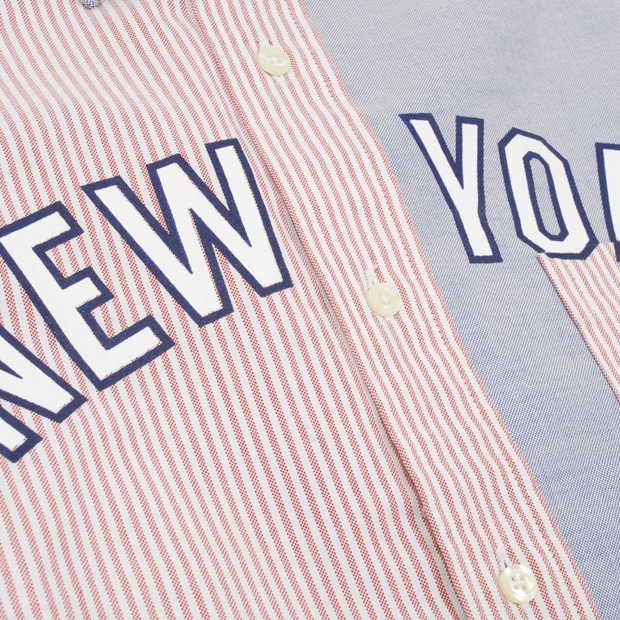 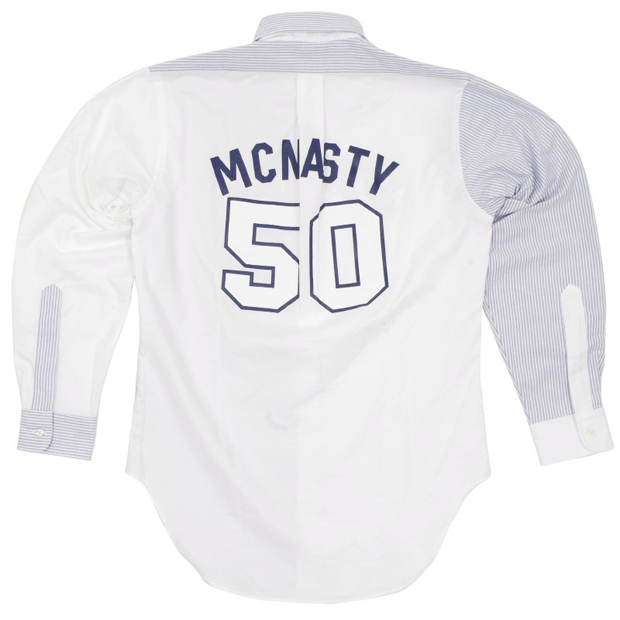 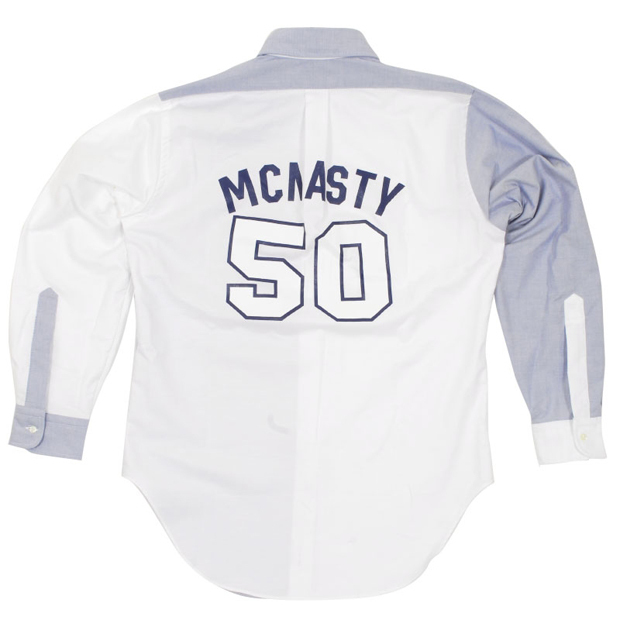 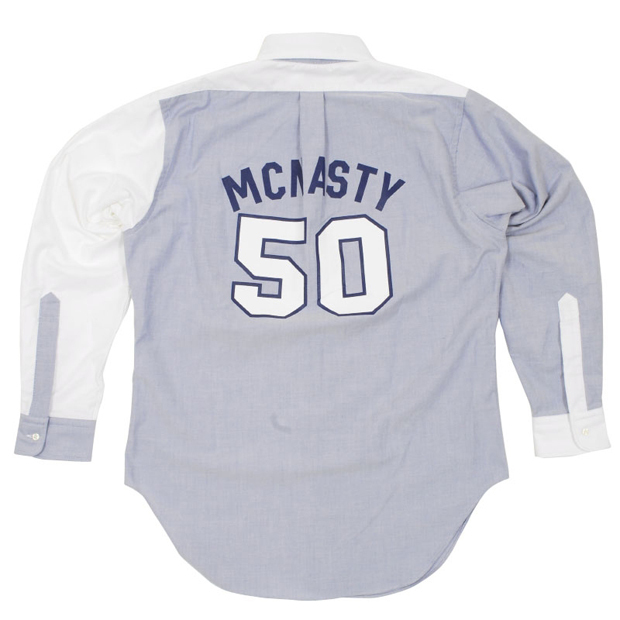 These are all produced in the US using single needle tailoring, with contrast paneling and an almost patchwork approach of solids and stripes, making the shirts seem almost normal (and not too dissimilar to the Yankees striped jerseys). 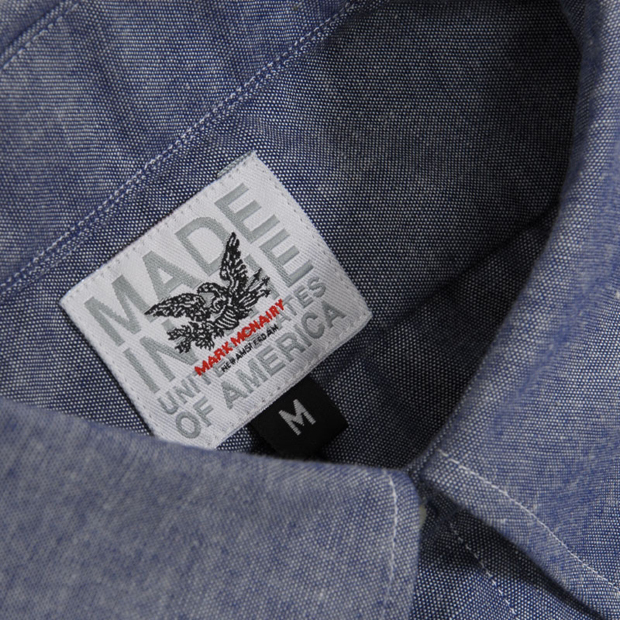 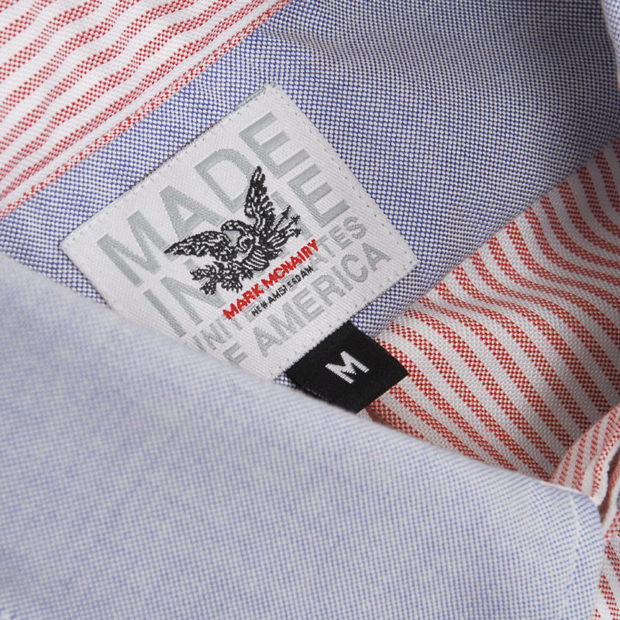 Inside the collar you’ll also see the usual New Amsterdam eagle detail set above an embroidered “Made in the United States of America”. 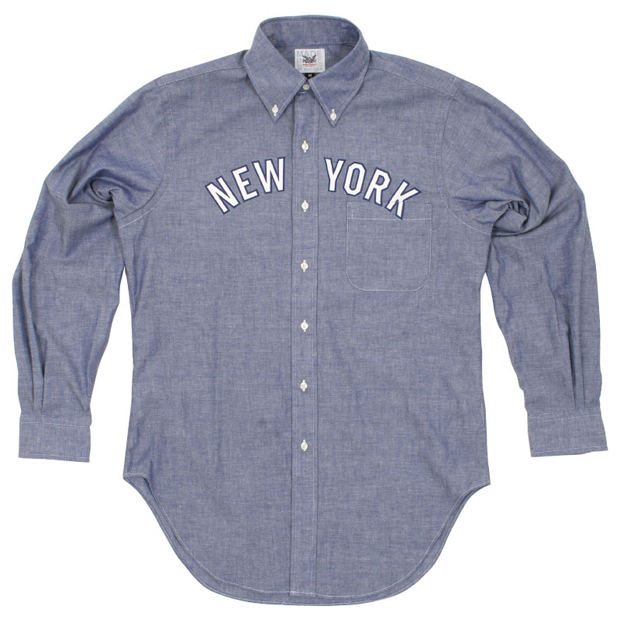 There is also a simpler chambray option available for those not feeling the mash up paneling. 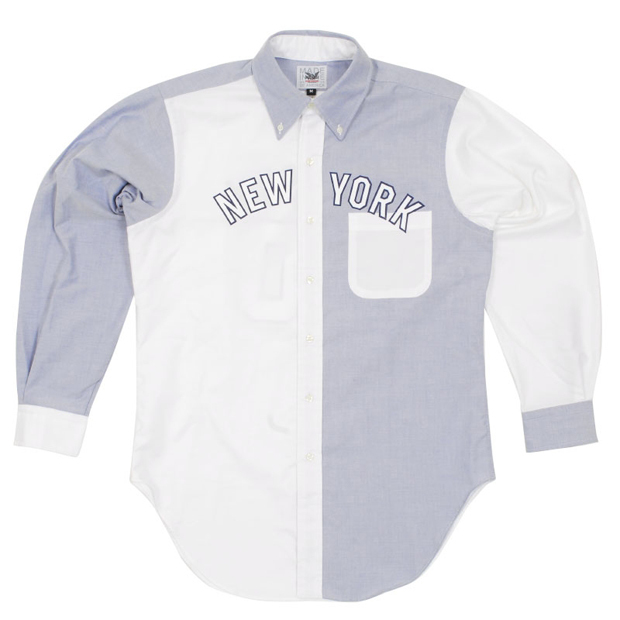 Personally, I think Mark saw shirting becoming such a staple in the streetwear wardrobe that it was about time to combine the two, and I love them. 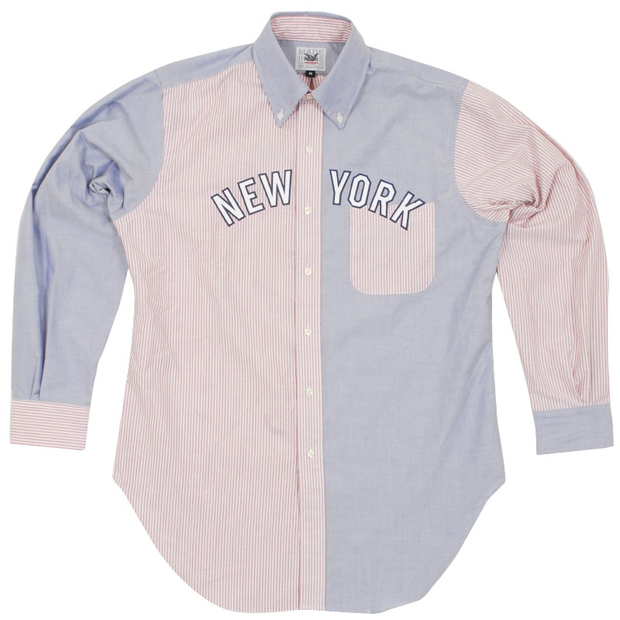 All shirts are available now from End Clothing for £165.